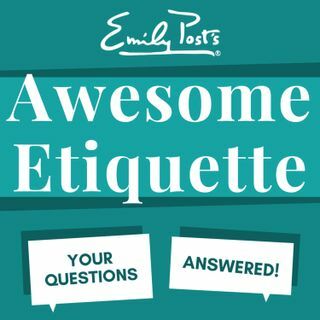 On today’s show we take your questions on offering additional sympathy, accessible bathroom etiquette, to stand or not during dinner introductions, thanking group donors and gossip or a good story. Plus your feedback, etiquette salute and a postscript on the idea that children be seen and not heard. The sustaining member question is about snooping in a guest bathroom.